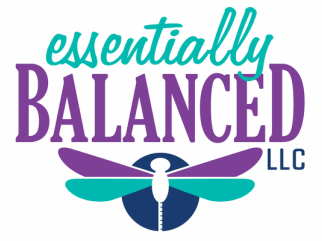 Essentially Balanced is a gratuity (tip) free business. I want you to consider massage therapy an important aspect of your wellness and healthcare, and me as a member of your wellness team which may also include your doctors, dentist, and chiropractor. Just as you would not provide gratuities to these healthcare professionals, I also now decline to accept tips for therapeutic massage. How can you show your gratitude or happiness with my services? ~ When you come to see me, check in on my Facebook page and leave a 5 star review! ~ Come back here often to schedule a massage, buy things, explore classes, and more! ~ Prepay for your sessions or purchase a Balanced Therapy package (by going here). ~ Buy a gift certificate (by going here). ~ Take my business cards with you and refer friends and family (and you'll get a referral discount too!). ~ Share my business cards with the other members of your healthcare team and let them know your results. ~ MOST IMPORTANTLY - schedule to see me again! Your continued business is the best "tip" I could ask for.